We were very happy that ReconArt could largely do what we needed out-of-the-box…ReconArt was easily able to get around the complexities of the travel industry. Holiday Extras is among the United Kingdom’s travel industry market leaders, offering bookings such as airport hotels and parking, airport lounges, airports by rail and coach, car hire and holiday insurance packages. The company’s leading booking platform helps over seven million travelers a year achieve their holiday goals with a wide choice of products and unbeatable prices. 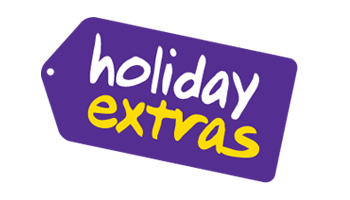 Holiday Extras saw a large increase in profits and a wide expansion across Europe in 2011. It became evident that this growth required a transition from reconciling in complex spreadsheets to establishing a modern technological platform that would bring both efficiency and best practices to the organization. Soon after, it was the perfect time to implement a comprehensive reconciliation tool to complement their new financial system. Advanced Business Solutions – a long-time ReconArt partner in the UK, stepped in with a ReconArt recommendation. After seeing ReconArt’s capabilities and ease of use, Holiday Extras looked no further. Among ReconArt’s biggest advantages was the ability to automatically match thousands of invoices from over hundreds of vendors on a daily basis. The system is very intuitive and user-friendly. We are able to do many of the tasks by ourselves and don’t have to ask support team to get involved. But when we do, we always receive quick responses. ReconArt’s powerful data enrichment functionality allowed for the standardization of data sources and formats on import, specifically the invoices received from suppliers in large volumes and number of different formats. ReconArt’s dynamic Exception management tools allowed for the accurate and fully auditable identification and resolution of small variances and legitimate exceptions. ReconArt’s Automation technology allowed it to handle all the repetitive tasks around cleaning up data, clearing matched items, categorizing exceptions, and generating reports, thus freeing up valuable time for the team.